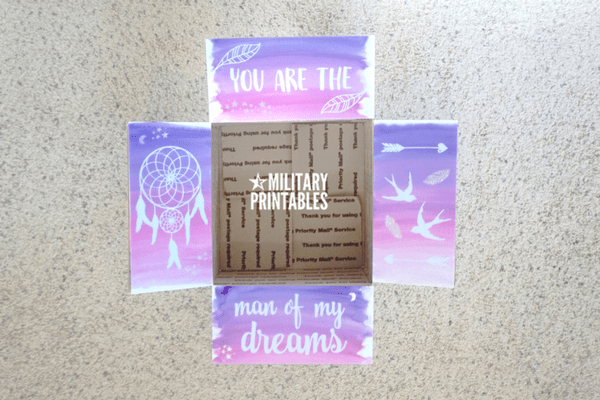 Pretty, dreamy, and super easy to do! 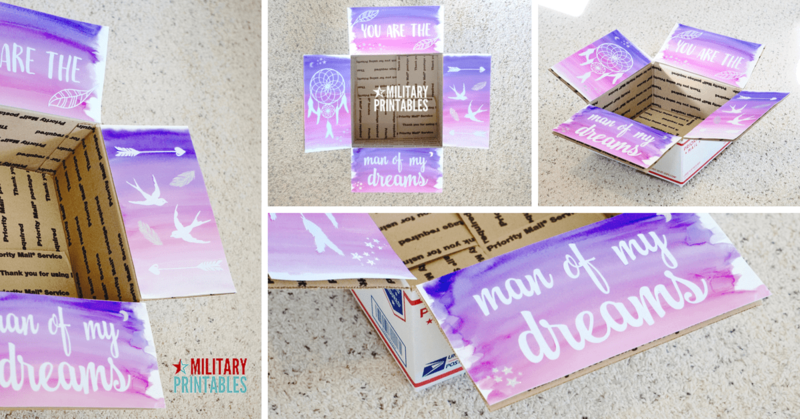 This ethereal care package idea is perfect for people who want to get a little watercolor painting in. 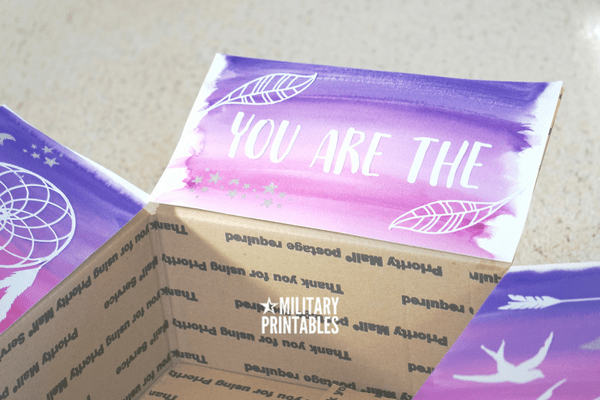 I’m also a watercolor beginner, and I thought this would be a great craft project to practice with, but the result looks super polished. I used watercolor paper and this awesome set of watercolor paints. I wanted a really pretty ombre effect so I started off with dark blue purple which then faded to a light pink purple. All it takes is the right mixing of color and then just some side to side brush strokes. I left it out overnight to dry. I also place some heavy books on top when it was dry to help flatten the paper. While it dried, I designed the artwork and sentiment for it. I wanted my silhouette cameo to cut out this really intricate dreamcatcher. Be sure to use this silhouette hook tool to carefully unpeel and lift up the dream catcher. You also might want to use a thicker cardstock so there’s less chance of tearing. With some strong glue, and the right nozzle, I applied glue to the back of my pieces to my care package flaps. It still didn’t have enough sparkle to me so I did some glitter heat embossing with some clear stamps for that extra bling. 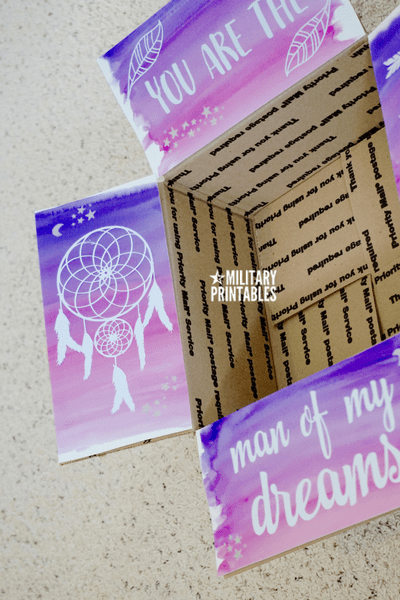 A care package that is perfect for the man of my dreams.